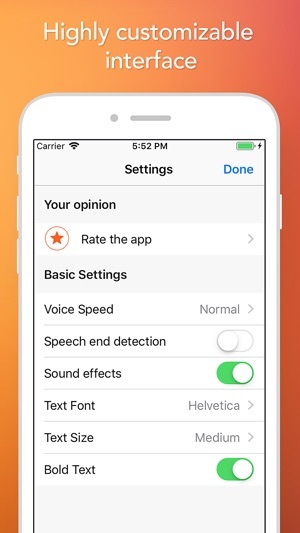 With this revolutionary app, you won't need to type anything any more. You just speak and your speech is instantly converted into text. 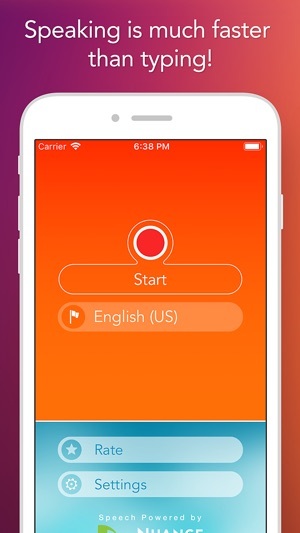 - Translate your speech into more than 40 languages. 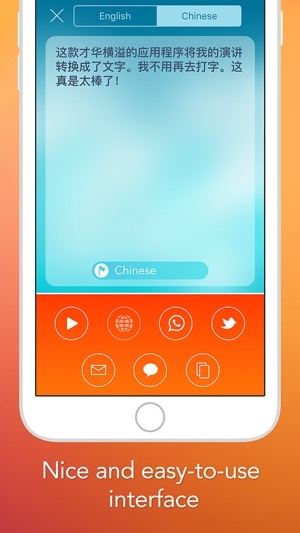 - Hear your translation being read aloud to you. 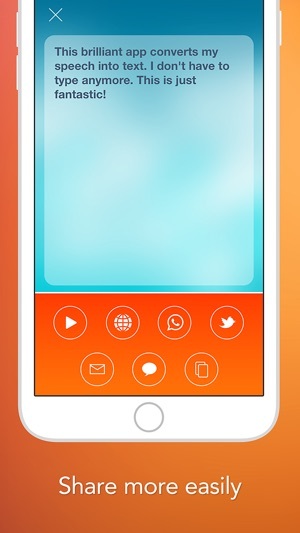 - Copy your text to other apps. 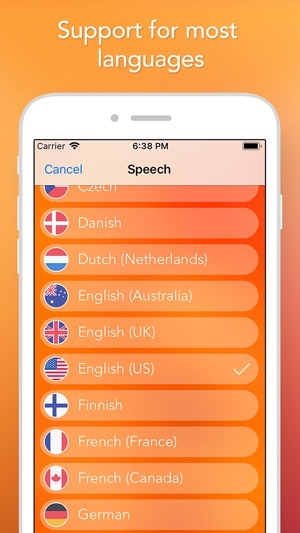 Speech Recogniser will definitely make your life easier. GET YOUR COPY NOW. This i'd an app I love..saves oodles of time! This app is awesome! I rarely write reviews but I am writing this one using this app right now. It has been so helpful for me and it saves so much time. I got it when it was free but I would certainly spend $10 on it! It is so worth it. It saves time emailing,texting or taking notes. Just about anything that I wouldn't use on my phone that requires typing this app takes notes for me. It reads every single word correctly. The only thing I have had to go back to correct is names of businesses and names of friends. After I finish talking this review, I said talking, not typing, I just press one button go over to the review page and copy it to that page so quick and easy you can do it the same thing and it will take you to email or text or what's app or the web. It even corrects my punctuation. So very helpful. I am extremely pleased with his app. I am doing medical dictation. The word recognition is quite good. The one thing that happened twice during my dictation is that it will not let me continue. A pop up says, "You are not authorized to use this." It will keep me out for almost 24 hours. I was about to delete it and purchase another app and it started working again. It has not happened recently so it might already be fixed. This app has helped me with my work so much. It is heads and shoulders above anything I have tried in the past.